Venice is the place where I fell in love with beads. I was taking a beading class at the time, still working full time as a senior manager of an international company. I was so busy learning beading techniques, that I did not really paid much attention to the beads. A short vacation in Venice and continuous immersion in its colors, history and Murano glass art - and I was hooked, addicted to these little glass beauties named beads. When it comes to beads, the more I read and learn, the more amazed I am at the universe of beauty and symbolism called 'beads'. 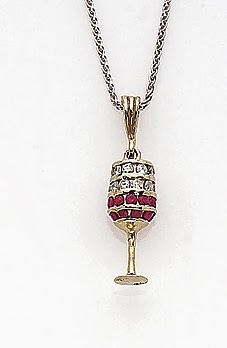 A string of rare beads on eBay, priced at over 600$! 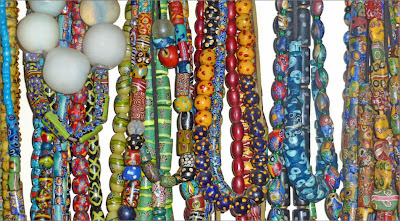 This post is just a peek, into a tremendously rich and fascinating world of beads. I have asked Sheila McLaughin and her daughter Shannon - owners of BeadyEyedBird on Etsy and bead collectors for many years to share with us some of the magic this world holds for them. Question: Sheila, what attracted you to beads in the first place? 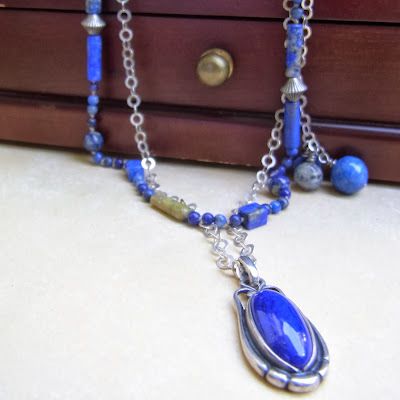 Sheila: Years ago, Shannon my daughter gave me a necklace she made, using a carved bead of a sweet-faced squirrel monkey (an animal I had as a beloved pet for many years). This has been a treasured necklace for all years since then. Watching Shannon collect beads and natural stones, I have come to love the universe of beauty reflected in objects of adornment. Question: Can you share with us some little known facts about beads? Being used for trade, the location where beads were found, provides valuable information about ancient trade and trade routes. But the story that beads tell us, goes way beyond trade routs. "Beads so often mirror the culture of which they are part that they tell us a great deal about the social, political, economic and religious life of the people who have made and worn them." 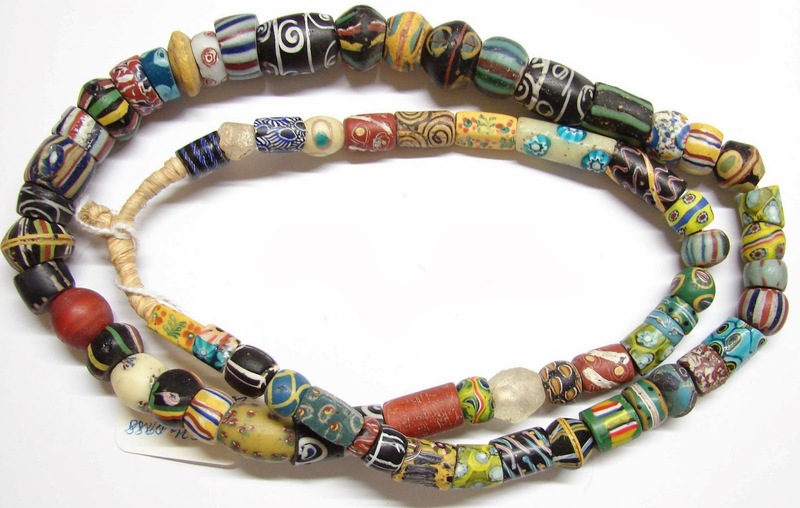 To me, one of the most fascinating aspects of the bead world is their use in rituals, as well as the magic and curative power associated with them. All across the world, thousands of miles apart, beads were (and are) used in rituals - whether wedding ceremonies in the Philippines or insuring the future of newly built houses in Colombia. Believe it or not, beads were sometimes used as fees for passage to afterlife! When I asked Sheila to share a 'bead story' that touched her heart, the one she mentioned was about Kate Diprose, a 3 year old girl who diagnosed with cancer - fought her way to health - encouraged by people all over the world who sent her beads to congratulate her for her struggle and survival through this terrible disease. Read more about it at ' beads of courage'. 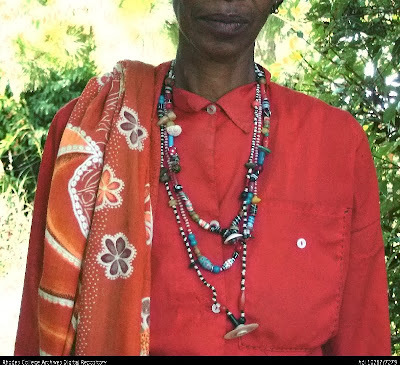 I do not know about you, but from now on, whenever I will see a beaded necklace, I will always look for the story behind it. What is the story it tells about the person who made the beads? The one who made the necklace? Was it meant to help someone heal? A memoir from an unforgettable vacation? 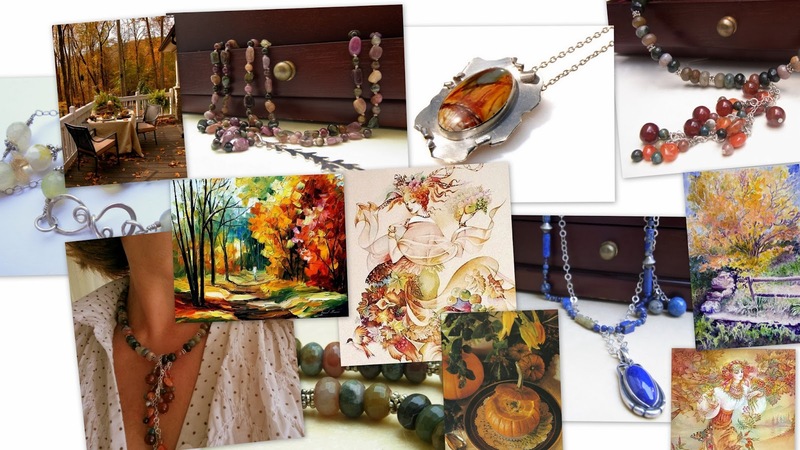 Autumn lovers jewelry sale - coupon code for 30% off inside! What is autumn for me? 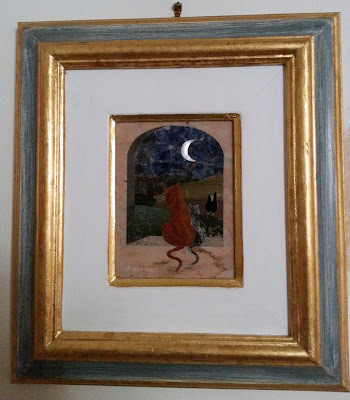 Clicking the link next to each one of the pictures will take you to this item on my ETSY shop, where you can see more pictures, information and purchase. One of the oldest stones recorded in history, the variety of Agate stones is endless. This necklace features a variety of Agate semiprecious beads: Indian Agate, Red Agate, Chalcedony. Loved by Pharaohs in ancient Egypt. The blue color of Lapis was so appreciated, that stones were grounded into powder used for paintings - the finest and most expensive of blue pigments. More than a hundred Tourmaline nuggets, hand-knotted patiently - usually this is how you create pearl necklaces. Each nugget has its own space - together creating a medley of fall colors. Red Creek Jasper, originating in China. Some would call it a semiprecious stone - I think it is a natural painting. Rivaling Van Gogh very best impressionist painting. Set in sterling silver with a vintage silver chain. ...should I add it is one of a kind? The last piece in this sale, a graceful yellow Agate lariat. beautiful yellow hues in a very versatile necklace. Do you like the jewelry I design? And don't forget to register to the newsletter - more sales in the next months! We all know what painting is, and many of us own jewelry pieces with semiprecious stones. 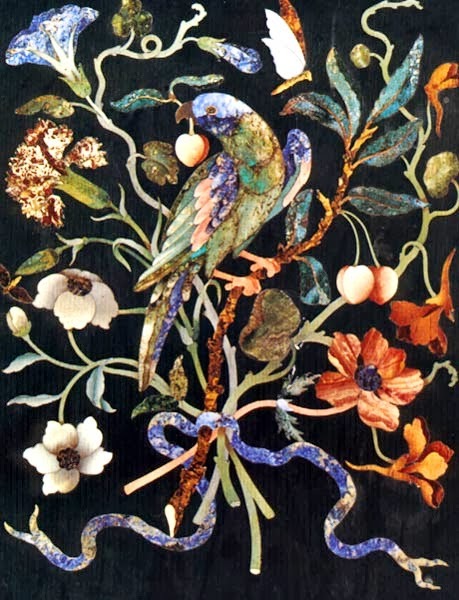 But have you ever heard of paintings created with semiprecious stones? A few years ago, I took a few painting lessons. Mainly learning to use charcoal and watercolors. When you start drawing a picture, you select the subject, take a piece of charcoal and...start to draw. Girlandaio, who was Michelangelo teacher, coined the term 'painting with stone'. Actually, it is painting with semiprecious stones. Imagine you are the artist. Probably live in Florence - as this is the center of this craft. In order to create this picture - you first need to select the stones. Selecting the right pieces of stone, is of uttermost importance. It can take months to find the right colors and shades. Some of the stones would be from Italy - Onyx, Calcedony, Verde Arno. Others would be imported from faraway lands: Blue Lapis lazuli, green Malachite, Jade. Then you would draw the picture full scale, divide it into sections. Each section with need to be cut out from a slice of stone, exactly in the right shape. Just look at the flower petals in this picture - doesn't look easy - does it? Work in process in the workshop of Renzo Scarpelli. The plan is ready, the stone selected, now it is time to cut the stone. The paper template is glued onto the slices of stone - and now the sawing starts. As sometimes there are thousands of pieces required to make a single picture or tabletop - it can take month and even years to complete sawing all pieces. Master Scarpelli at work, using the traditional bow and iron wire for cutting the stone. Take a look at the stone selection in the drawers behind the bench! Notice the grey paste behind the stone that is being cut? It contains an abrasive powder that enables to cut through the stone. How do you cut the pieces exactly in the needed shape to fit the picture perfectly? The only answer I got was "maybe it is the 52 years of experience ...". Pieces of stone all cut? Now glue them together with beeswax and resin, placed on slate backing, polished and ...voila! An art piece I now proudly own - The cat looking at the moon, by R. Scarpelli. 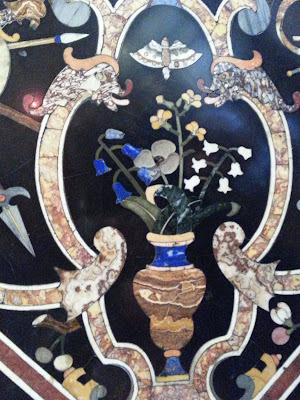 Florence was for centuries famous for the art of 'painting with stones'. The institute of 'Pietre Dure', created by the Medici as a workshop - turned into a gem of a museum today, well worth a visit in order to see the wonderful art pieces and learn a bit about the process. Yep, this is me looking at the beautiful wooden benches. Notice the stone collection on the wall? The Medici Capella in Basilica de San Lorenzo - a marvel of Pietra Dure art. Looking at this beautiful and demanding work, I realize how much I came to appreciate craftsmanship. After all, art is something very subjective, and beauty is in the eyes of the beholder - but it is impossible not to appreciate the type of craftsmanship, honed by decades of experience that creates these unique one of a kind art pieces. A very interesting counterpoint to our ready made / replicated / immediate results oriented world. Bursting full of experiences from my 2 week stay in Florence, probably some of them will end up in the next posts. A nice gift is one that elicits an 'Oh, it's beautiful, thank you' reaction. The perfect gift, stirs emotions, conveys a personal message, makes someone feel loved and special. And, here you are, ready to invest your time, effort and money in finding the perfect jewelry gift. you have no idea what are you looking for. Put on your thinking cap, and let's get started. Step one - Animal lover, gardener or book worm? 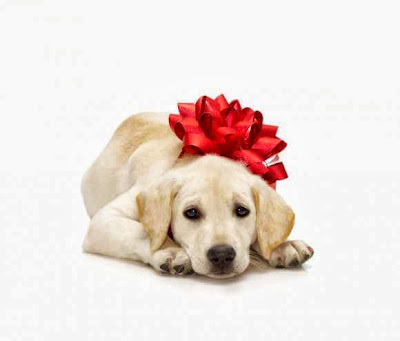 You actually know the person you want to buy the gift for, right? What does she love or love to do? Does she love nature? Flowers? A weakness for English roses perhaps? Ancient history (like my husband), chess or science fiction? You got the point, don't you? 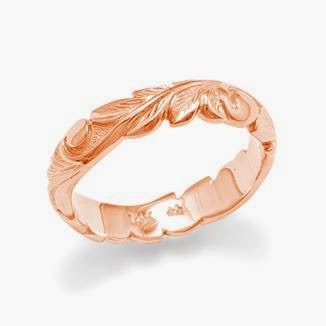 Finding a piece of jewelry that invokes images of something we love, creates an instant emotional connection as well as shows someone was really thinking of US, not just on buying a standard gift. A nature lover? Maybe something inspired by the forest, just starting to change colors in the fall. 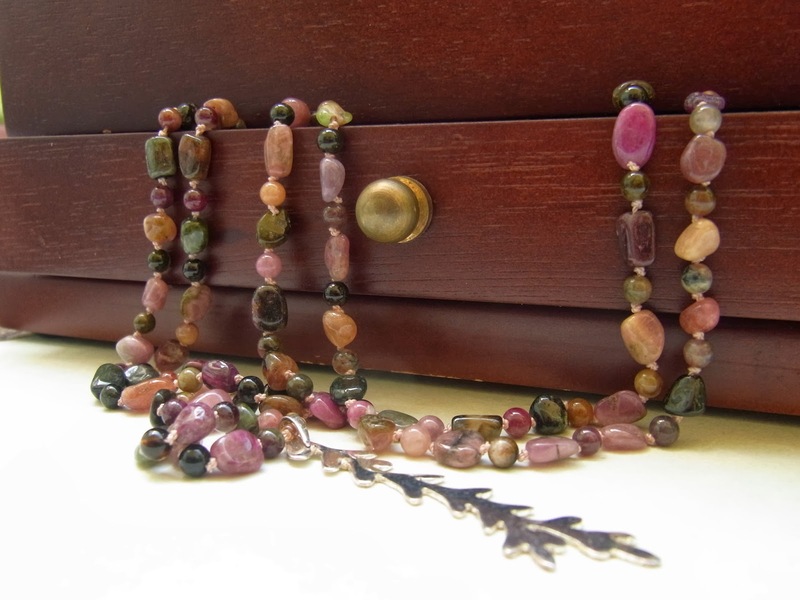 This is a triple strand Garnet and Tourmaline necklace I made, inspired by autumn colors in my garden. Step number 2: New grandma or 10th anniversary? Is this an event: birthday, wedding anniversary, graduation? A moment you want to create or to remember? Becoming a new mom, grandma? There are plenty of symbols you can tap into, once you look at the reason for celebrating. Aquamarine, March birthstones. And if she loves the sea - so much the better! ...and why not combine a birthstone with something she really loves? Are you looking for a ring for a cat lover born in September? 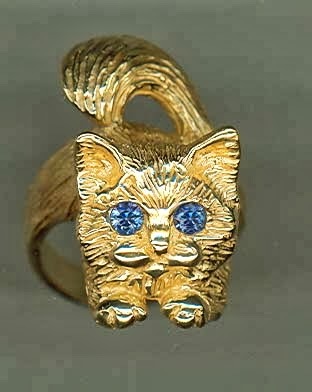 Just look at that adorable Rag doll cat ring in 14k gold and sapphire eyes by pets jewelry. 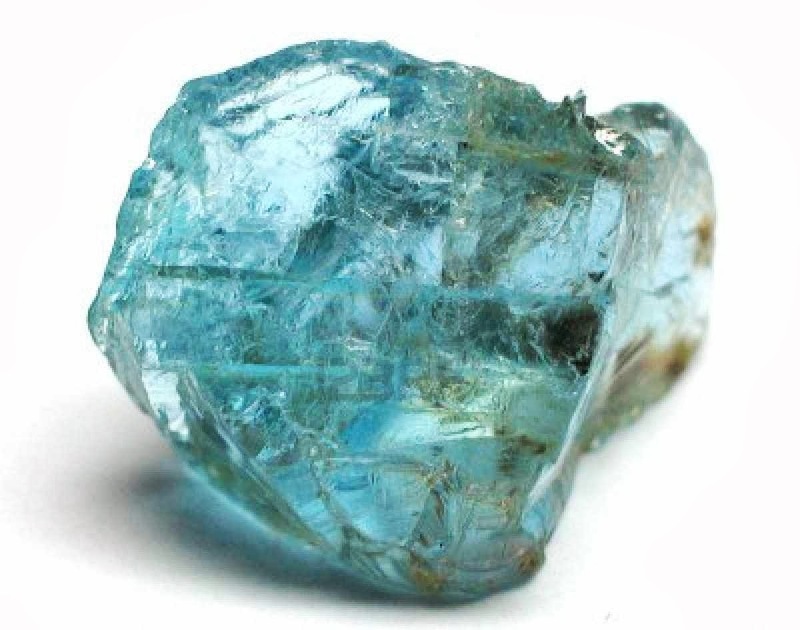 Less known that birthstones, anniversaries have their own gemstone lists. Most semiprecious gems have specific qualities associated with them. Foe example, Rose Quartz is famous for attracting and keeping love, and can be a great choice when you want to convey a comforting message. Is there a moment or experience you want to remember? Take a look at my previous blog post 'A-ring-with-a-story' to see how a moment can be captured by a piece of jewelry - in this case a ring. Is this the right time for a heritage piece? I have a ring that is in our family for 3 generations. My grandma got it from her mother in law when she got engaged, and passed it to my mom when she got engaged to my father. My mom gave me this ring a few years ago, and needless to say it is very precious to me and I intend to pass it to my future daughter in law when the time will come. A gift with a heritage can take many shapes and forms. 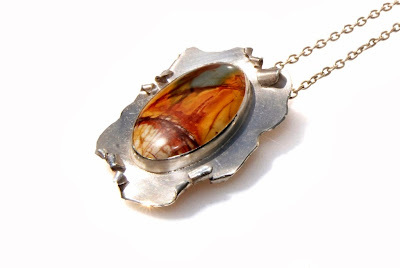 It can be a piece of jewelry you pass on, but it can be a completely new jewelry made from old pieces you have. Do you have any pearl necklace that is sitting for years in your jewelry box? A string of beads that was torn long time ago? A single surviving earring? Each one of these long forgotten pieces can be the starting point for a new and fresh jewelry piece that would mean the world to your daughter or granddaughter. As an example. I created this delicate silver lariat out of a vintage coral bead necklace my mom gave me - 'as she would not wear it anymore'. 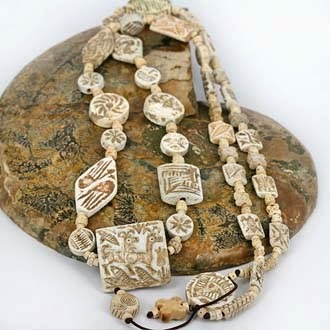 I reuse a few coral beads, added the carved ivory roses, a silver chain and clasp - and created a completely different look. Make the piece really personal. Engrave a meaningful world - maybe one only you two know the real meaning. Select a clasp that has your initials on it, symbolizing by its very function the connection between you two. An unusual way to personalize a message is to spell a word or a name using gemstones. 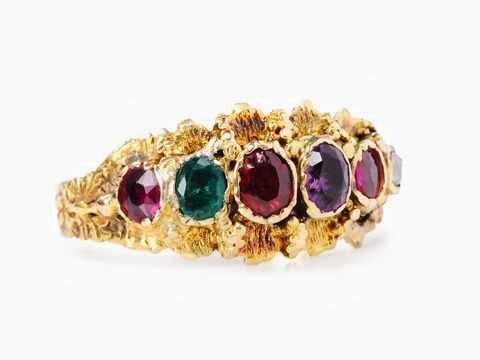 This is called 'Acrostic jewelry', and was very popular in the Victorian Era. Each alphabet letter was represented by a gemstone (usually one whose name starts with this letter), and these gemstones were used to spell words. After you went through these four steps, you probably have a much better idea what are you really looking for. If she does not wear earrings - maybe this is not a great choice for a gift. sometimes - a necklace or a bracelet would be more appropriate. Restrict your choices - remove the options that do not make sense. Ready made or custom order? Or maybe something in the middle. Maybe you searched the web for a 'Nature inspired pendant' and found in ETSY just the right one - but you want to personalize it with her birthstone, or an engraved message. and find that special piece that will make someone very very happy. 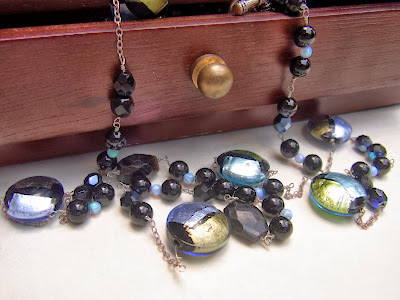 This is an introductory post to a topic that fascinates me - jewelry as means to convey messages, and I would really want to hear what you think. What other ways are there to select meaningful jewelry pieces? 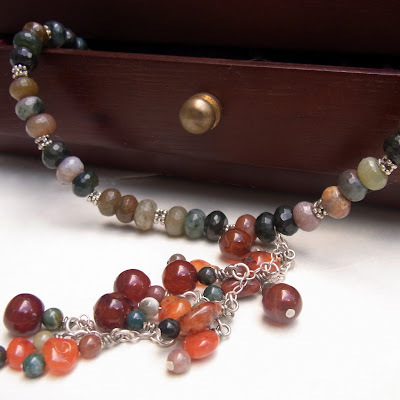 Would you like to learn more about any of the topics mentioned in this post (birthstones, anniversary stones, acrostic jewelry...)? Just comment and let me know. leave me your email and you will not miss any post!